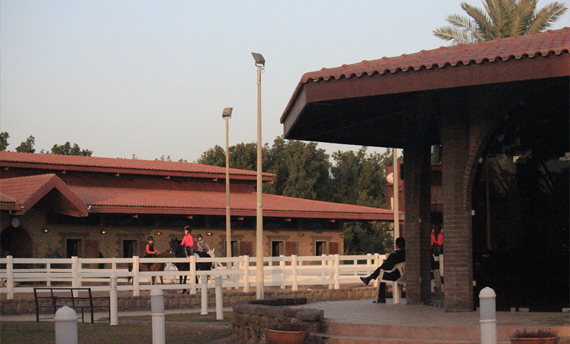 Kuwait Riding Center’s riding school was established in February 1996 with 20 riders and 21 horses. After moving to our new location in Sabhan in April 2001, KRC has grown to train over 500 riders and 120 horses. This thriving riding center provides both beginner and advanced riders with the opportunity to learn more about horses and riding with their experienced instructors. KRC offers training in both dressage and showjumping. Our advanced show jumpers compete both locally and internationally, representing KRC and Kuwait with impressive results. Upon its foundation in April 2017, Kuwait Riding Club began using Kuwait Riding Center’s services and facilities as its base for training. With over 20 riders on the team, the riding club has delivered superb results since its foundation. Join the KRC Family where you can experience and enjoy all our wonderful services & facilities and be a part of our journey. 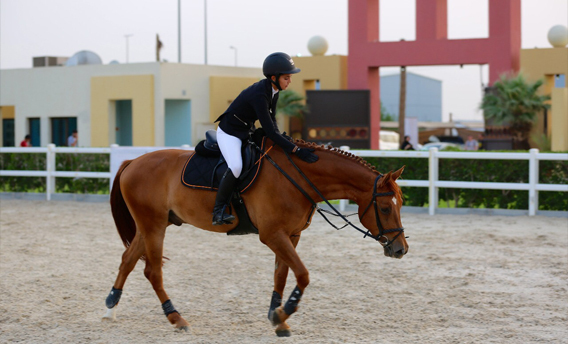 In my opinion Kuwait Riding Center is the ideal facility to pursue my equestrian goals. KRC supervises its horses with consistent care both inside or outside the stable, making a horse owners life much easier. 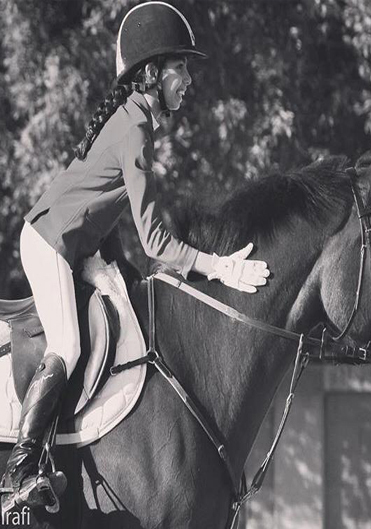 Whether you are just planning on getting the basics of horse-riding down or aiming to ride competitively, Kuwait Riding Center has you covered. KRC? Literally no place better. Very beautifully designed and is organized professionally. The horses are always well groomed and taken care of. Also, the tack shop has everything you need to keep your horses healthy and looking good, as well as the rider. Being part of KRC is a dream come true! KRC is one of my favorite places to visit. There’s no other place id rather ride in, the place itself is just amazing and very organized. The horses are trained very well and at the same time teach us a lot. KRC is filled with experienced trainers. I love KRC so much and the face that I have my horse here makes me so happy and proud. KRC has shaped my life. I joined when I was six years old and I’m still here, riding and competing 12 years later. The club is amazing, the facilities are excellent and the members are like family. I feel blessed to be a part of Kuwait Riding Center! KRC is a very nice place to be in with champions riding in it. The trainers here are good and I enjoy riding a lot because it’s fun! The instructors at KRC are so nice and so are the people around. The horses here are the best too! KRC is my home away from home. It’s a supportive community that teaches you to grow & evolve in order to be the best version of yourself. A place where dreams are actualized, unexplainable connections are made and two hearts become one. © Copyright 2019 KRC. All Rights Reserved.